Marienplatz has been the heart of Munich since its foundation in 1158 and it is a great starting point to visit all the other tourist attractions such as the Old Town Hall, Old Peter, New Town Hall and Viktualienmarket. 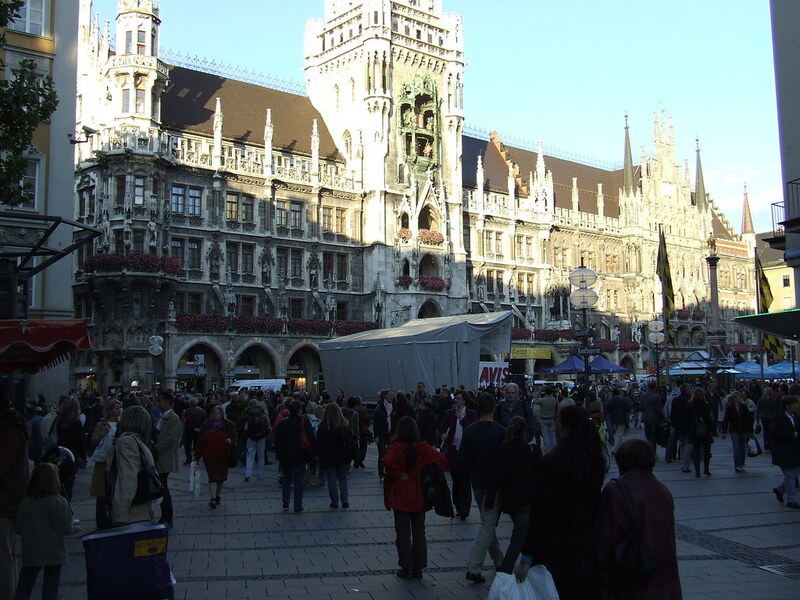 Here you will find the famous Glockenspiel which goes off every day at 11am, 12pm and 5pm. At this time, figurines come out of the pillar high on the New Town Hall and perform the Schäfflertanz, a dance first performed at the end of the plague in the 1500s. 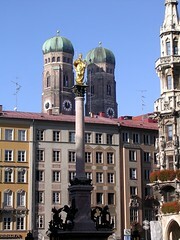 The Fischbrunnen can also be found here and is a popular meeting spot for Müncheners. 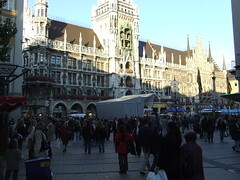 I think pretty much everyone visits Marienplatz on a visit to Munich. In fact, if you've missed it, there's probably something wrong. We started our day here and were able to occupy ourselves for the whole day on foot just walking around and viewing the attractions in this area. The square is normally very crowded and there is a lot going on here. I don't know that there is really much to see, other than the Glockenspiel, but that only goes off a couple of times a day. However, there is lots around this area, and the buildings around the square are pretty, so it's a good place to head to. We visited Munich in December and Marienplatz was all decked out for Christmas. They did a great job with the decorations, especially at night with all the lights. The Christmas markets were fun. Visited the shops during the day. Plenty to stay busy. Pity it was so cold. We had to keep running into the shops to warm up! Right in the center of MÃ¼nchen. 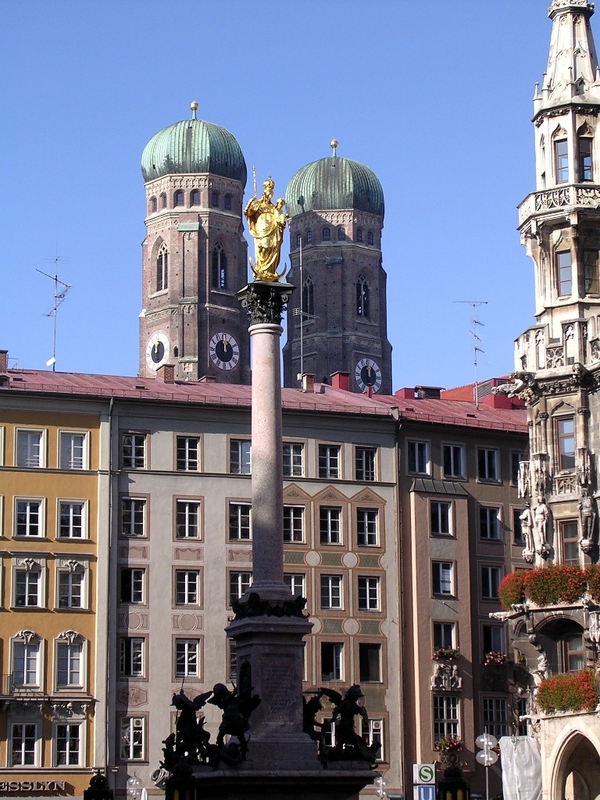 Have you already visited the Marienplatz? If so, let everyone know what you thought about it by writing a review! No registration necessary. Just click here to start writing!